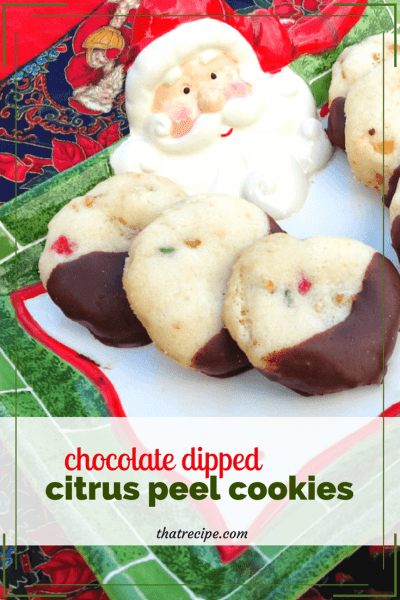 Do you know anyone that likes candied citrus peel and chocolate? They are going to love these easy flavor filled cookies. If you read my Panko Crusted Salmon in Orange Sauce post you will know I went just the teensiest bit gaga over WinCo’s fruit cake mix. 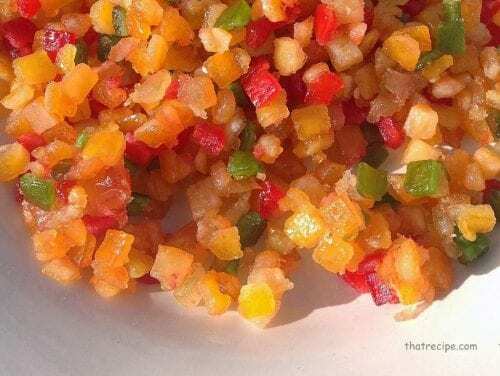 Winco is not sonsoring this post, I just love this mix. So moist and delicious and chopped into such nice little pieces. I still haven’t used it in a fruit cake and I may make my Mother in Law’s recipe with the remaining container I have. In the meantime I am enjoying it in other recipes, like these cookies. I used the Angel Cookie recipe as a base and added the peel only. The pineapple and cherries, uh, didn’t quite make it into the mix. 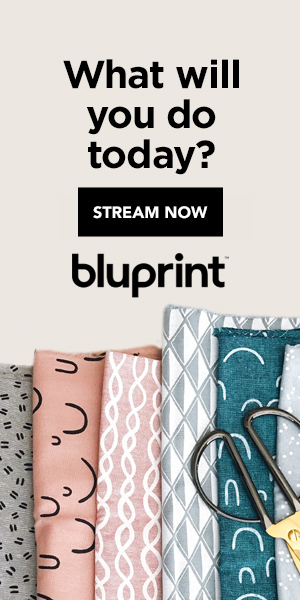 Okay, okay don’t look at me like that! I’ll confess! I ate them. Sheesh, are you happy now. But, really they wouldn’t have been good in here unless they were as finely chopped as the citrus peel. The cookies are nice and crispy with a citrus-y punch. And the chocolate is the perfect complement. These light and crunchy cookies are studded with candied citrus peel, then dunked in a little chocolate for extra goodness. In a large bowl, sift flour, powdered sugar and salt. Add shortening, vanilla and citrus peel and mix at low speed until blended. Roll dough into 2" cylinders and chill for an hour or more. Preheat oven to 350 degrees. Slice dough in 1/4 - 1/2" slices and place on parchment paper lined cookie sheets. Bake for approximately 10 minutes, until the dough just sets, but cookies have not yet started to turn brown. Remove from cookie sheets and cool on racks. Melt chocolate dipping wafers as per package directions and dip one end of each cookie. Place on parchment paper until set. These sound so tasty! I wish I could reach through the picture and grab one to try! These sound brilliant for any kind of dried fruits to be chopped into, love the addition of dipping them in chocolate. You crack me up. How funny that you ate the pineapple/cherries from the fruitcake mix. These look so pretty and festive and what a great tip about using dental floss to cut the dough. These look really good and so unique using citrus peels! YUM my only question is HOW many cookies did this make? 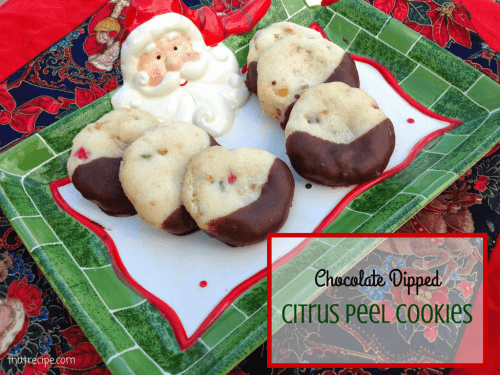 The citrus peel cookies look so yummy! I’m going to definitely have to try these! 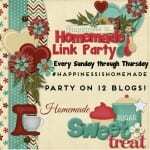 Thanks for stopping by our Momma Told Me Link Party! Oooh, these look delicious! And I love the Santa plate! These look delicious, I love chocolate and citrus! Thanks for sharing with Tasty Tuesdays! Yum and yum! These cookies look delicious! 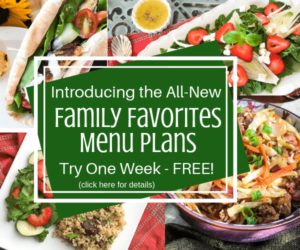 So delicious that I’m featuring them tomorrow at the Talented Tuesday Link Party! 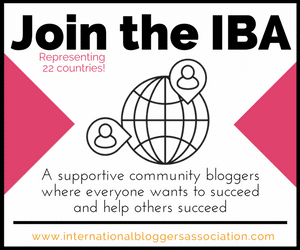 Thanks so much for sharing – don’t forget to stop by and pick up your “I’ve been featured” button! Oh thanks! I thought they were delicious, but I love citrus peel in lots of different things.